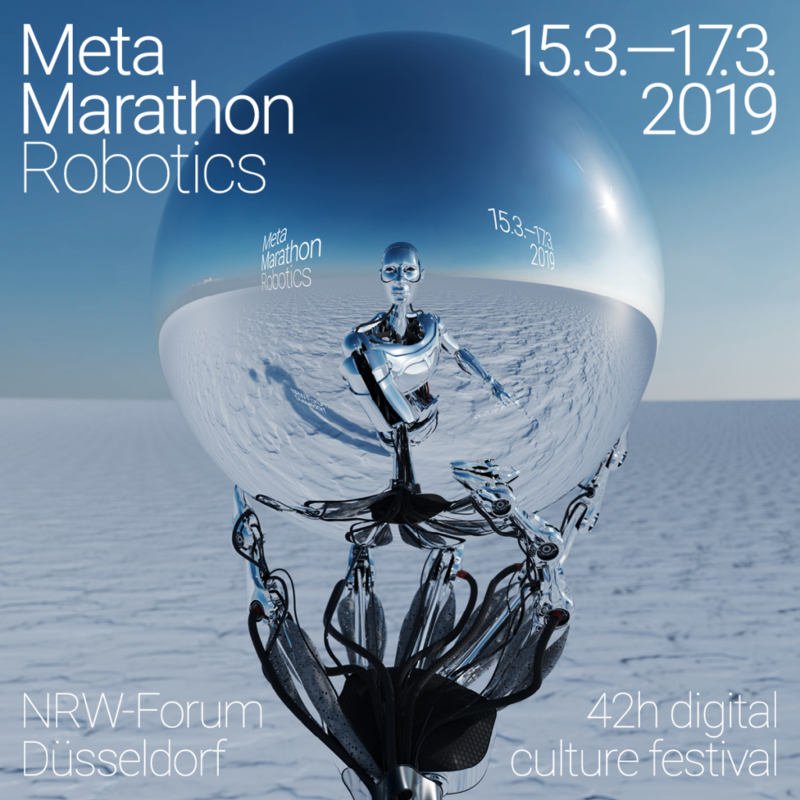 Meta Marathon is a 42 hours non-stop digital culture festival at NRW-Forum focusing on robotics. During the festival, KISD is building an exhibition/performance landscape and living lab of robotic rituals: a Voodoo Resistor Club. The Voodoo Resistor Club is an impertinence. OK. A movement in the night. OK. A resistance in the broadband channel of the Now. OK. A wet observation room with leaking places. Continue. It flickers. It flees. It resists. OK. Where exactly? Continue. Off controlled. Uncontrollably. In the swarm. Over. Black matter. Gray magic. White Pigeon. OK. Black Beauty. Black box. Off. Translucent spell. Technocratic trances. Off. Everything is in xxxx. 404 mojo. Biohypermedia. OK. 3 Oms. 4 Ohms. Oh! Close the button. ESP. Push the button. EPS. Praise the people. OK. Praise the power. Praise the Lord. OK. 5 Ave Maria and 5th Avenue. Amen. As part of Meta Marathon, various ritual positions of techno-spirituality and post-humanism are being developed. In an exhibition with laboratory character this becomes an experience. Nightly rituals get to the bottom of things. An experiment of KISD with the teaching and research areas Interaction Design and Image & Motion. Summoned by Nina Juric, Eduard Paal, and myself.